The Facebook Marketplace game is improving…again. Facebook announced at the beginning of the month that businesses can now advertise on Facebook Marketplace. Since launching Facebook Marketplace in 2016, Facebook has gradually added new features to the program. In October 2017, they allowed businesses to list used vehicles, home rentals, home services, and even jobs. By allowing advertisements on this platform, Facebook is giving businesses the opportunity to stay in front of consumers who are already in the mood to shop. 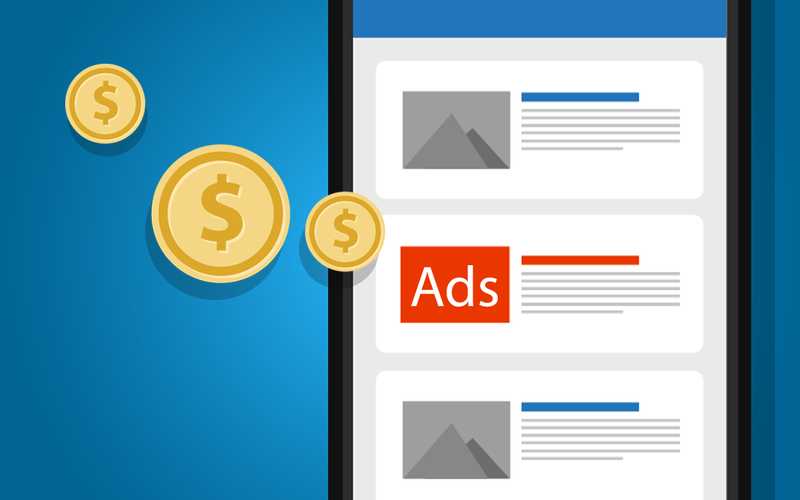 Facebook has already tested the Marketplace ads with select businesses, and results have shown they have been able to generate up to a 2.2x greater return on ad spend. Digital Air Strike™ has started displaying ads on Facebook Marketplace for several clients to generate more authentic leads and drive traffic to businesses’ websites. These ads target in-market consumers and capture active shoppers, allowing our clients to see an increased ROI. 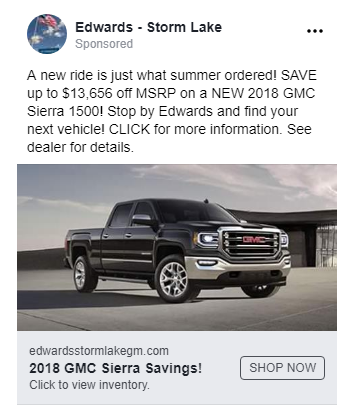 In just 16 days of Edwards Chevrolet of Storm Lake placing their first ad on Facebook Marketplace, 298 people clicked on it. With Facebook Marketplace generally receiving less traffic than a user’s news feed, these results are notable. The ad was also seen by Facebook users 67,768 times! A key thing to note is that while businesses may not see the same viewership numbers as they do on their news feed ads, these ads reach people actively shopping in Marketplace. By generating these meaningful leads, you are sure to see an increased ROI. 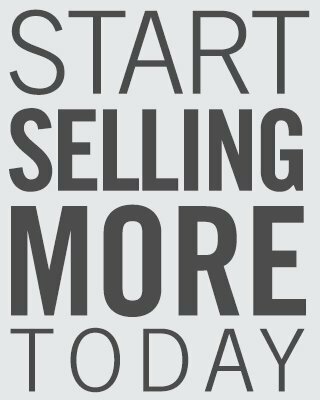 Join our free, 30-minute webinar – Top 10 Tips to Supercharge Your Sales on July 24, 2018 to learn how you can master the consumer engagement puzzle using Facebook Marketplace Ads.